When I look outside I see my son playing with his siblings. Instead of being left out he is suddenly the one everyone wants to play with. They are having so much fun together, they have been playing over an hour and all I see are smiles. 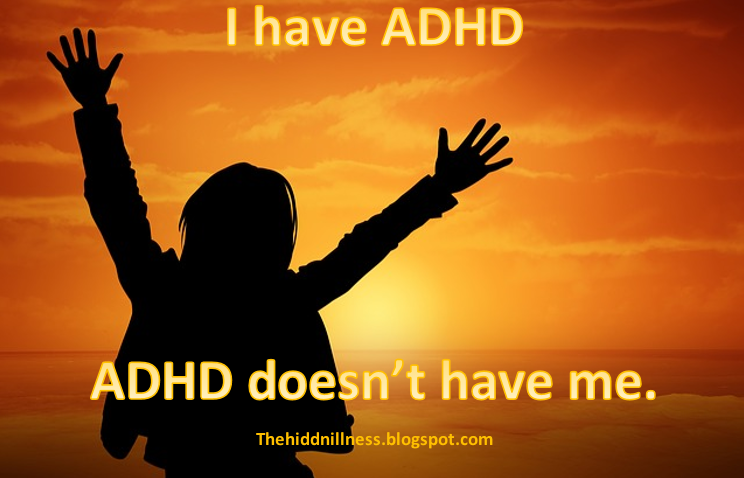 I think my kids enjoy their brothers creative and adventurous side, the side we love, the side that has not left after being diagnosed with ADHD and starting medication. I hate to pull them away from their fun but it is getting dark so I have to call in for them and they hurry inside. I tell them to put their coats and shoes away, my son's coat makes it but his shoes manage to stay in the middle of the floor. I know it sounds weird but I smile at how obvious it is that he is still a six year old boy. I tell them that we need to do baths tonight and homework. I walk into the kitchen to get their homework supplies. They get started working while I get dinner ready. I walk past a pile of clothes and pick them up to put in the dirty clothes until I realize they are my sons clean pajamas. I go to the table and ask him “Did you get your pajamas?” he says a simple “Yes” not seeing what the big deal was. I realize I told them we were doing baths tonight and he just went to get his clean clothes without me even asking. This is one of those simple moments that I normally probably would have taken for granted but I am stunned, grateful, and a little pile of clean pajamas has made me feel like crying and laughing all at once. I tell him how great he was for going and getting his pajamas ready. I set up a reward system for homework to keep my son motivated that for every three letter word he spells he can get a star sticker and after ten stars he will earn a candy. He is doing awesome and even putting in a few four letter words. When timer goes off signaling that ten minute homework time is over he wants to keep working on it so bad, he is enjoying it and so close to that ten stars. I don’t want to wear him out but he really wants to so I let him keep going. I love seeing him feel so accomplished. After bath time I get them all off to bed and while tucking him in I tell him how great he has been doing and that he is such a good boy. He smiles, so happy. I love seeing him happy. The next day my girls come home from school and tell me about their day like usual but now my son joins in and tells me about all he did. He loves showing me his art projects, he loves to create things. I laugh when he tells me that school is boring and I explain that sometimes we have to do boring things that are good for us. I tell my kids the good news that it is the weekend and if everyone goes upstairs and cleans their rooms that we get to have a family game night. They all run upstairs and to my surprise my son comes downstairs first saying he is done. I am skeptical so I go upstairs to see for myself. Everything looks good, I smile at the toys stuffed too full in one drawer bulging out. I tell him how he works so hard and I am so proud of him being moms big helper. While we wait for dad to come home with pizza the kids play together. I hear crying and go check to see my son wrestling too much and I tell him “she is not having fun anymore, when she is crying you have to stop.” He looks up at me and the invisible hazy wall in his eyes is gone. He understands and reluctantly stops. I could look into those eyes all night, I love those eyes. I tell him thank you for listening and smile at him. After dad comes home we eat dinner and get to play games. Ninja Turtles, Mario Brothers, and Mario Kart have become our favorites. My son is really good at these games he even helps teach me a few things. I love being able to play games with him and just enjoy being together. We have fun now, we laugh, we are happy together. I could never imagine my life without him. Hi! Here I am reading what you have written like it were a beautiful story. But it is really your own life. It is so encouraging to read, how you and your husband manage your family. You keep your son encouraged and motivated. There are some things mothers understand best! Thank you for sharing these accounts from your life. I just smiled as I read this :) it is very encouraging to read.